"It's like they didn't even exist," a school district spokesperson said. Ten children rescued from a Northern California home this week told authorities they were struck with baseball bats, strangled, shot at with BB guns and crossbows, and subjected to waterboarding by their parents — but, due to privacy laws and loopholes, school officials never knew they existed. Their mother, Ina Rogers, has defended her parenting and insisted that she home-schooled her children to protect them from bullies and substandard teachers. She claimed when child welfare services officials visited the home, they found nothing unusual and the "kids were placed back with me." Yet California's Department of Education has no record that the 31-year-old mother registered her last three homes as a private school or that she was home-schooling any of her children. At least three public school districts in Solano County confirmed to BuzzFeed News that none of the children had ever enrolled, registered, or set foot in their classrooms over the past several years. "It's like they didn't even exist," said Tim Goree, a spokesperson with the Fairfield-Suisun Unified School District, where the children would have attended class had they not been hidden away in their home nearby. "If someone is determined that they have kids that aren’t in school there is nothing that prevents that." Officials stumbled upon the children after Rogers reported her 12-year-old son missing in late March. Police found him sleeping under a bush in a neighbor's yard hours later and, after conducting a wellness check on the home, found nine other children "huddled on the living room floor" in "deplorable" conditions, according to court documents. Aged six months to 11 years, they were skittish, malnourished, and frightened, and they "spoke with speech impediments," authorities say. They slept together in one dirty room, the house covered with feces and rotten food, police said. Authorities conducted an investigation and interviewed the children, who detailed how they were punched, bitten, shot with crossbows and BB guns, hit with sticks and bats, strangled, and waterboarded, prosecutors said Wednesday. They had scars and burns from being attacked with scalding water and left with broken arms. Facing charges of child abuse, neglect, and "sadistic" torture, Rogers has rebuffed accusations that she and her husband, Jonathan Allen, did anything wrong, telling local media that they are "amazing" parents. 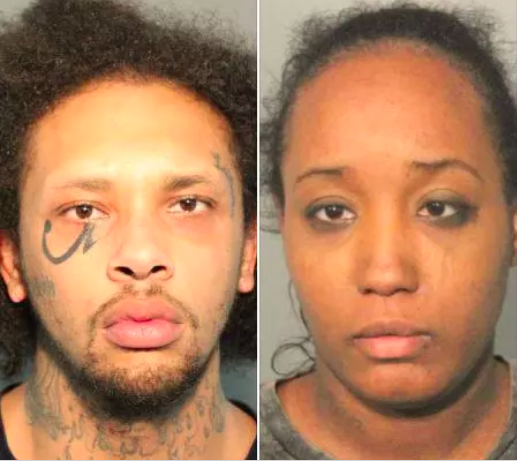 "They had normal lives except for being in home school," the 29-year-old father, who has pleaded not guilty to nine felony child abuse and seven felony torture charges, told KGO. "I gave my everything to these children." The details, while shocking, were familiar. Four months earlier, in a Southern California community, deputies found 13 children crammed inside a filthy, foul-smelling suburban home. Police said they had been tortured and chained to beds, their bodies stunted and malnourished, and some had developmental issues. 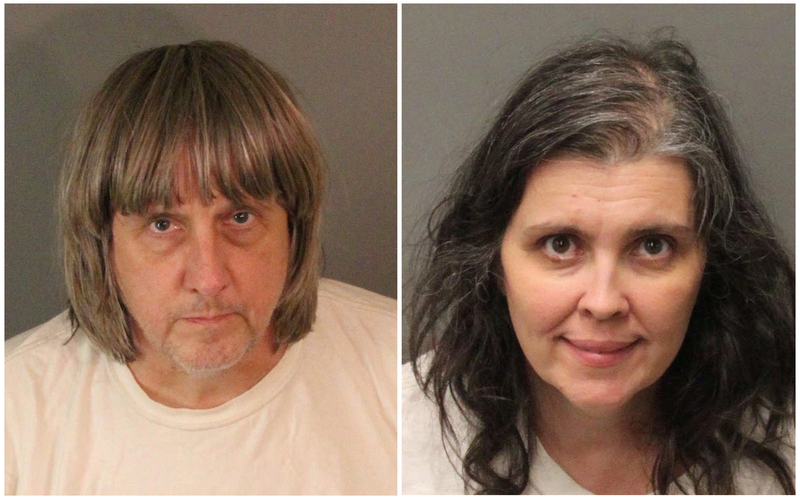 Their parents, David and Louise Turpin, have since pleaded not guilty to more than 40 charges of torture, abuse, and imprisonment. 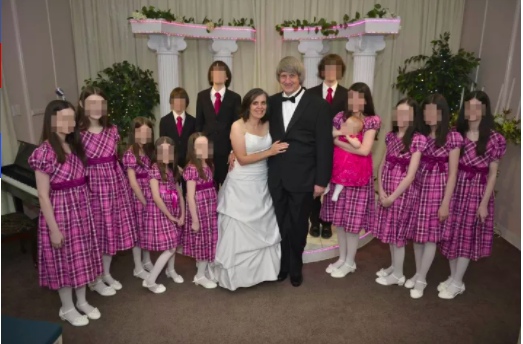 The Turpins also home-schooled their children for years, moving the family from Texas and across California, all while keeping their children hidden inside. Similarly, Rogers and Allen moved frequently, living at two different residences in the past two years, police said. In both situations, neighbors were stunned to discover that the children were in the home and had endured such horrific treatment. In March, the same month police first charged Rogers with neglect, another mother who faced child abuse accusations in three states drunkenly careened off a rocky coastal Northern California highway, authorities say, intentionally killing her wife and six children, who had been home-schooled while living in Oregon, though the parents reportedly never registered with that state. The cases have sparked outcry and disbelief, begging a collective question: How could this happen? They have also enflamed an ongoing debate over whether state officials should more closely monitor home schools and tighten regulations, such as requiring officials to physically examine the locations and check on students. "That's our system," said Kevin Welner, a director at the National Education Policy Center. "We value parental rights and parental freedoms in this country. We don't have school districts and child protective services sticking noses into home-schooling families. We don't have them requiring much of anything." It's almost infeasible for law enforcement and officials tasked with protecting children to know if they are being mistreated if they are not checked on at school or monitored in other educational environments, Goree said. The Turpins' home in Perris, California, was known to state education officials as the Sandcastle Day School. David Turpin filled out the required affidavit ensuring that his children were full-time students, but no one ever came to inspect the residence, which is now known as the "house of horrors." "That's it. That's all you have to do. No inspectors are required to come check the residence before or during the time it's registered as a home school," said Scott Roark, a spokesperson for the California Department of Education, adding that, to renew the program, parents simply fill out another affidavit the next year. "It's unfortunate that these cases happen and we would like to see more accountability and strengthen the law." 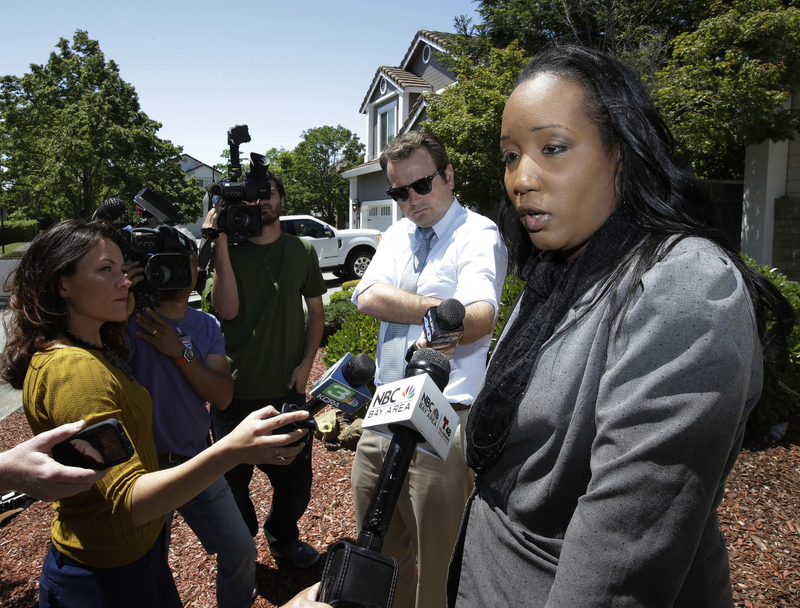 Back in Solano County, officials seemed to be unaware of the existence of the Rogers' children, despite the parents' multiple run-ins with law enforcement. In 2011, their father was charged with four felonies, including corporal injury, assault with a firearm, and criminally threatening his wife, according to the Associated Press, which obtained the court documents. Solano County also filed child support claims against him on behalf of Rogers, but the children were never removed from the home or placed in public school. The US has seen a steady rise in home-schooled students. From 1999 to 2012, the last year federal data was available, the number of children educated at home more than doubled from 850,000 to nearly 1.8 million. California is one of 15 states in which parents only have to fill out paperwork to start a private or home school, according to the Coalition for Responsible Home Education. Furthermore, parents can still teach their children under umbrella schools, which report only how many students are in each grade but not their names, said Rachel Coleman, the coalition's executive director. "People use these schools so their children won't be on a government list. Some you can just sign up online," she added. "These are the way these kids fall through the cracks. There is no major list of all home-schooled kids in the state." In 11 other states, no documentation is needed. The coalition says home-schooled students in only about half of the country are required to take tests to make sure they are being properly educated. There are no required welfare checks for students enrolled in online private schools, either. In all but two states, you can start a home school even if you have been convicted of a felony, such as child abuse. "In these states where we have told government authorities to be hands-off we have our answer as to how this can happen," Welner said. Before Jennifer Hart drove her wife and six children off a seaside cliff, child welfare officials had checked on the children and the parents told them that they were home-schooled, Coleman noted, but no one checked if there were any official records. "Many balls were dropped there and it shows that we have enforcement issues across the board that need to be fixed," she said. "What we need is a two-tiered system that screens families before they start and gets kids in front of people who could potentially spot problems a few times a year." Coleman ticked off various examples, such as annual doctor's visits or physicals, a teacher-administrated standardized test, or interviews to ensure students are learning. However, home-schooling advocates have pushed back against recent claims that the system perpetuates abuse and have stymied efforts to enact new laws, calling it an infringement on their rights. After the Turpin case horrified the nation, California lawmakers introduced two bills aimed at adding more oversight. The legislation quickly died after home-schooling parents flooded the capitol with crowds and calls. While education policy experts and school officials agree that home-schooling is an enriching option that, as Welner says, "gives kids remarkable opportunities to learn far above what they would in a normal setting," it can "mask and hide abuse and enable these situations to go on for years and years." "We don't know how prevalent abuse and neglect are among home-schoolers because we don't know much about them at all," he said. "That's the problem. We just don't know."